Tell a wonderful story with two words. Spell it out stylishly wearing this belt by Moschino. 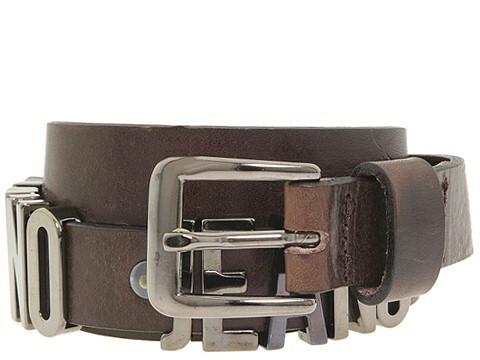 Moschino Jeans adorns the belt in metal lettering. 1 belt width. 33.25 first hole length. 37.25 last hole length. 100% leather. Gun metal hardware. Made in Italy.